The Umstead Hotel and Spa is more than a place to visit. Its a place to discover and explore. Every small detail has been hand-selected, chosen for its ability to create moments of enjoyment. In Cary, NC, hospitality comes naturally. And peace and tranquility fill every inch of the inviting twelve-acre grounds. The Umstead Hotel and Spa is a place of comfort and serenity. Art and nature are both the muse and the medium for our simple, yet sophisticated decor. Art-lined hallways, fresh floral designs, and imaginative, locally sourced cuisine stir the senses. While warm spa waters, cozy Italian linens and unexpected amenities soothe the soul in our luxurious accommodations. The aesthetic becomes therapeutic. And the stresses of the outside world melt away. As North Carolina's finest AAA Four Diamond, luxury boutique hotel, The Siena will captivate you with its elegance. Inspired by Italy, this beautiful hotel is based on a Tuscan villa. Decor is luxurious, with hand-selected European antiques, Italian marble floors and freshly cut flowers. Guestrooms are individually appointed with rich colours and fabrics. At The Siena, attention to detail is paramount with a high level of personalized service and a friendly and relaxing atmosphere. 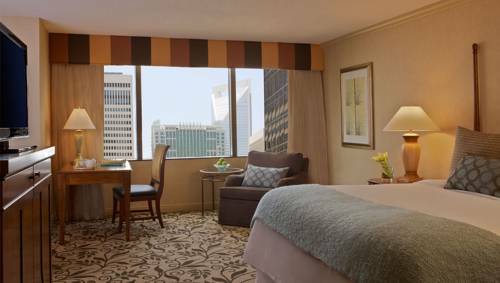 The Omni Charlotte is located in the heart of the bustling financial center just three blocks from the Charlotte Convention Center. The luxurious hotel takes pride in pampering each guest with genuine southern hospitality. All 374 guest rooms and suites are decorated with fine furnishings and lavish amenities including high speed wireless internet access and plush terry robes plus fully stocked in-room refreshment centers. Guests can enjoy our sparkling rooftop pool and sundeck plus work out in the 24-hour on-site health facility or browse the adjoining shopping mall. Guests can also enjoy a meal our own Trade Restaurant or visit the culture and entertainment districts connected to the hotel via glass enclosed skyways. Retreat from the world where quiet comforts and uncommon luxury complement the extraordinary oceanfront setting at the Hampton Inn - Suites Outer Banks/Corolla hotel. Come stay with us for a night a weekend or an entire vacation and enjoy the hospitality that makes us an award-winning hotel. Located directly on pristine beaches, the Hampton Inn hotel features standard guest rooms and one-room studio suites that offer an array of amenities to compliment the perfect getaway. The Hampton Inn - Suites hotel in Corolla North Carolina features 123 spacious non-smoking guest rooms including whirlpool rooms one-room studio suites private balconies complimentary high-speed Internet access an indoor pool an outdoor pool kiddy pool a lazy river an exercise facility and a game room. 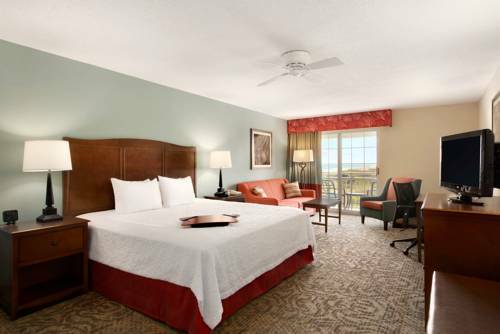 The Sanderling Resort and Spa on North Carolinas Outer Banks touches the shores of both the majestic Atlantic Ocean and the serene Currituck Sound. Located near Duck NC The Sanderling with its luxurious spa overlooking the sound is the Outer Banks only true resort. Guests enjoy a 12-acre retreat with 93 luxury accommodations a full service spa and fitness center and a conference center. The resorts 60 seat award winning restaurant The Left Bank offers contemporary American cuisine and fine wines with spectacular views of the water. The Lifesaving Station Restaurant housed in a restored 1899 Coast Guard Station open three meals a day offers contemporary American cuisine. We are now a 4 Diamond property. The Washington Duke Inn and Golf Club, on the campus of Duke University and just minutes from Research Triangle Park, downtown Durham and Raleigh/Durham International Airport, is one of North Carolina's most celebrated hotels. The Inn, known for its luxury facilities, internationally recognized service, excellent cuisine and banquet facilities, stands among the tall Carolina pines, overlooking the Duke University Golf Course. Join us for business or pleasure, and experience a true Carolina treasure.